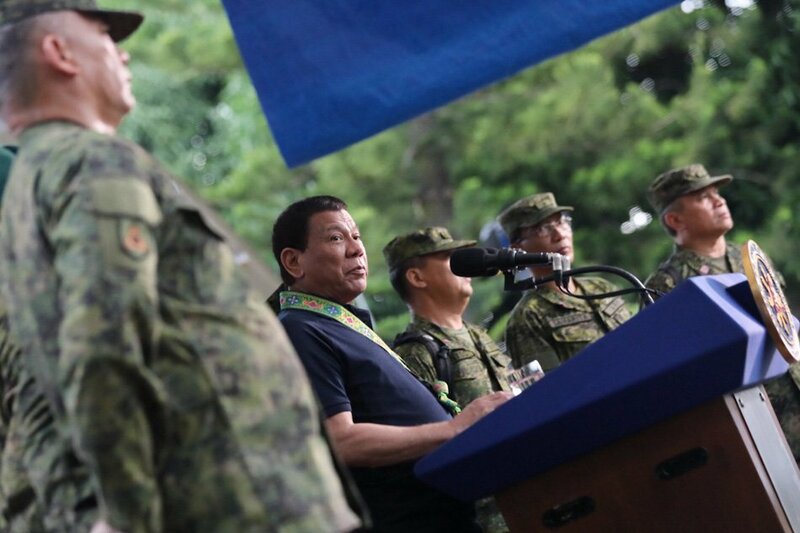 President Rodrigo Duterte repeated his guarantee to protect soldiers who would face charges associated with their obligations. He said performing a duty for a nation is a "noble job" so he would "not allow a single soldier to stay in prison even for one day." "I assure you that you are not alone in this fight. As long as you perform your mandate in accordance with law, this administration will remain steadfast in supporting your organization and provide you with the necessary tools and resources that enable you to effectively fulfill your duty as defenders of the nation," he said. "If it is in the performance of your duty and you face charges, criminal and all, you need not worry. I will take the blame personally and I will protect you. And I would never, never allow you to go to jail," the president added.